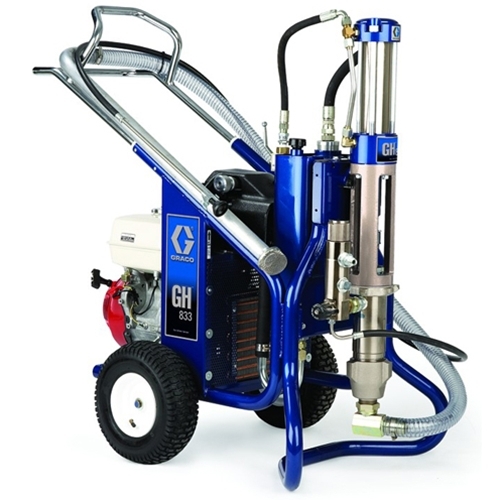 The Graco GH 833 sprayer is a machine that is not only extremely versatile in the materials it can spray, but it is also extremely easy to use. 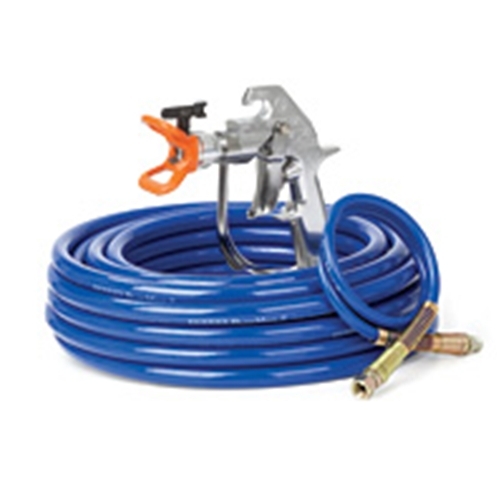 This makes it the top choice for seasoned contractors who have to be able to spray a wide range of materials. The Graco GH 833 is known for being a high production workhorse, which will help you add performance and value on the job site. The Graco GH 833 is powered by a Honda Engine to ensure maximum performance. It offers an inside out flow through filter, which eliminates many issues with clogged filters. It also offers a HD cooling system with a 4 gallon reservoir. No need to worry about downtime either since the GH 833 has the Graco Exclusive MaxLife Endurance Pump. 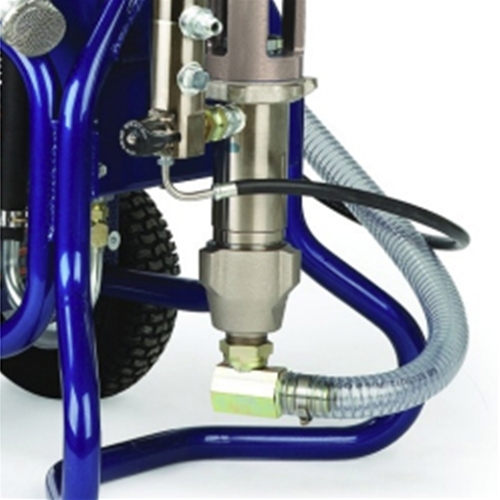 The MaxLife includes a quick-change pump and quick access intake valve. Take your jobsite performance to new heights with the Graco GH 833 Gas Hydraulic sprayer. Versatility and reliability packed into a rugged big rig design – Ready to go to work on any number of your job sites today. 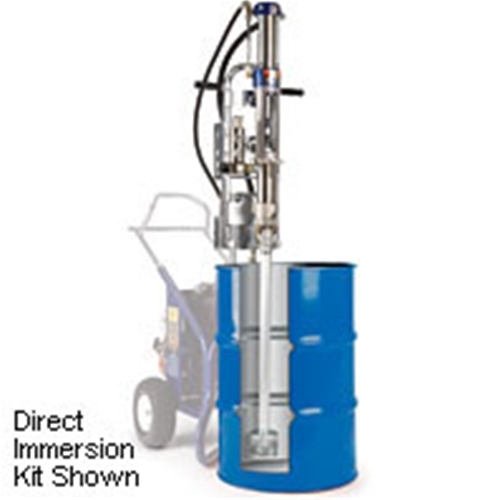 Shop all Graco at Intech Equipment and Supply online, or call for additional information and order assistance.